The tag rugby season is about to kick off and tshirts.ie are pleased to offer the following great value tag rugby shirts for your team. 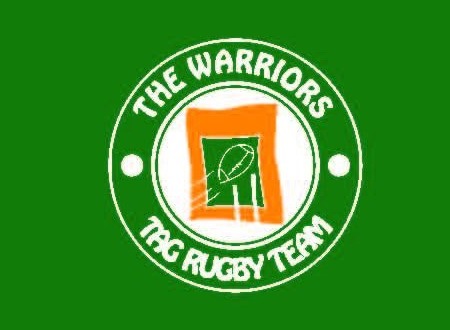 With this tag shirt you can have a rugby ball crest on the front with your tag team name wrapped around it the crest and then your Team Name printed on the back of the shirt. You can also choose any colour shirt from the palette of shirt colours below. With this tag rugby shirt you have the same as Option 1 above plus an individual number printed on the back under the tag rugby team name. 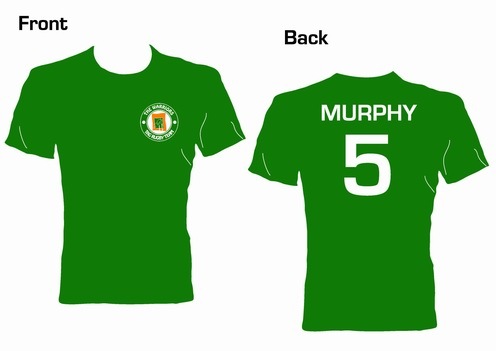 With this tag rugby shirt you have the same as Option 2 above plus an individual Name and Number printed on the back. You can choose from the following shirt colours for your team’s t-shirts. Ordering your tag rugby shirts couldn’t be easier, just fill in the details of your team name and what you want printed below and we’ll email you promptly to confirm your order and issue you with an online invoice which you can pay securely online by Credit Card or Paypal. ← Light up your tee shirts ! !